san francisco, ca (january 17, 2018) – Marc Jacobs Beauty is pleased to announce the launch of shameless youthful-look 24-h longwear foundation, and the corresponding campaign image featuring adwoa aboah, the latest face of the brand. photo by david sims, styled by katie grand, makeup by diane kendal, hair by guido palau, and nails by jin soon choi. in the image, adwoa wears new shameless youthful-look 24-h longwear foundation spf 25 in shade tan y400, marc jacobs beauty’s new medium buildable foundation with first-ever flashback-free spf and exceptional hydration. 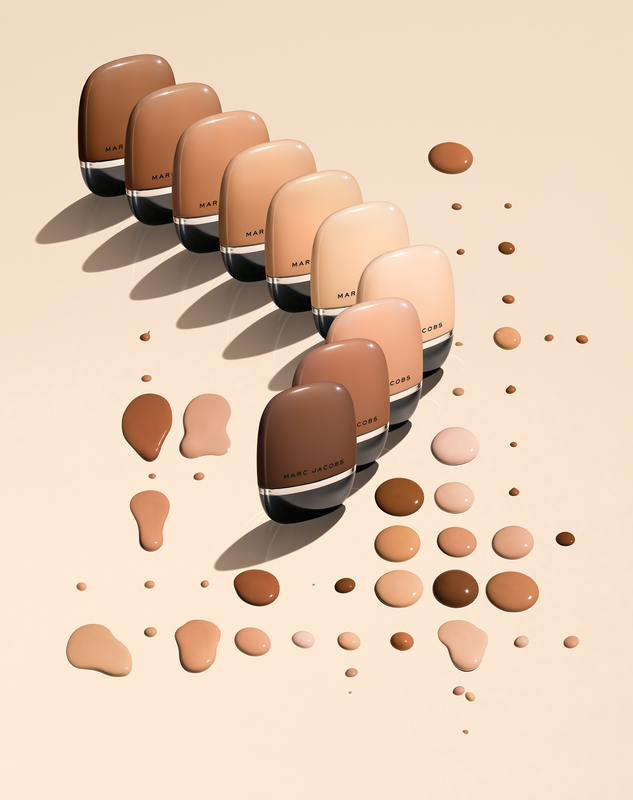 available in a broad range of 29 shades for all skin tones, shameless blends seamlessly without settling thanks to its patented infinity millingtm process. the oil-free, 24-hour longwear formula is self-setting, which means you get a fresh, natural finish that lasts all day. a first-to-market, encapsulated spf provides broad spectrum sun protection for a weightless-feeling, flashback-free spf that never appears chalky on camera or ashy on any skin tone. snow mushroom and blue daisy extract beautify from the inside out to help give skin a hydrated, plumped and more (you)thful look. Marc Jacobs Beauty Debuts Adwoa Aboah Spring 2018 Campaign For New Shameless Foundation. 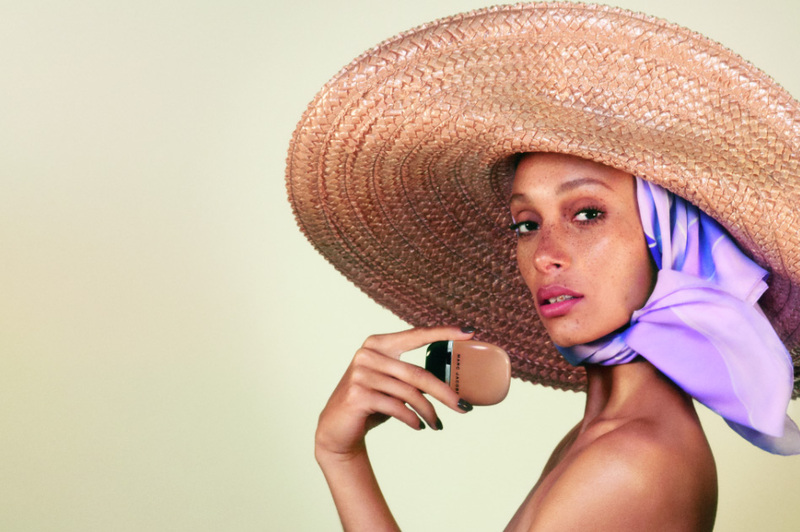 Marc Jacobs Beauty Debuts Adwoa Aboah Spring 2018 Campaign Image For New Shameless Foundation. Marc Jacobs Beauty New Shameless Youthful-Look 24-H Longwear Foundation SPF 25. Image by Raymond Meier. to complement her shameless skin, adwoa wears velvet noir major volume mascara in noir, new nudes sheer gel lipstick in moody margot, le marc lip crème lipstick in mahogany, and enamored hi-shine nail lacquer in delphine. adwoa's shameless look will also be featured in the upcoming campaign video directed by jesse jenkins, with creative direction by katie grand, debuting in february. 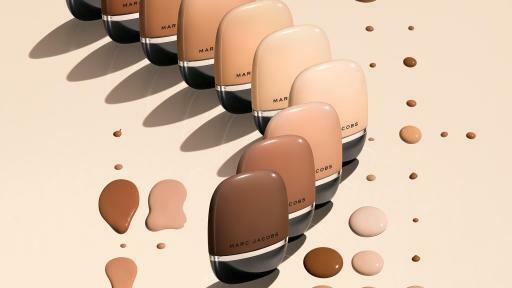 marc jacobs beauty shameless youthful-look 24-h longwear foundation spf 25 ($46) will be available globally february 2018 at sephora, sephora.com, marcjacobsbeauty.com, select marc jacobs stores, neiman marcus, bergdorf goodman and net-a-porter.